Phillip Shinn is a career trial attorney, a former Ninth Circuit Court of Appeal Staff Attorney and has litigated 20 trials and arbitrations to completion, including ten jury trials averaging a month each. Mr. Shinn has taken or defended approximately 500 depositions, briefed and argued scores of motions, and worked with or cross-examined expert witnesses in a wide range of technical fields. Mr. Shinn spent two and a half years in Seoul, Korea, where he worked in the international arbitration and cross-border litigation department of Korea’s largest law firm. Mr. Shinn’s areas of practice include Commercial Litigation; International Arbitration & Cross-Border Litigation; Construction Litigation; Employment Litigation; Product Liability Defense; Insurance Coverage; and Intellectual Property Litigation. Mr. Shinn is a former president of the National Asian Pacific American Bar Association (NAPABA), which is the voice of the 40,000 Asian American lawyers, judges, law professors and law students. 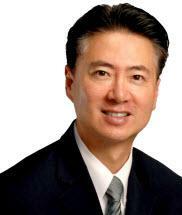 He is also a former overseas president of the International Association of Korean Lawyers (IAKL), former president of the Asian American Bar Association of the Greater Bay Area, and a founding member of the Council of Korean Americans. Mr. Shinn is based in San Francisco.